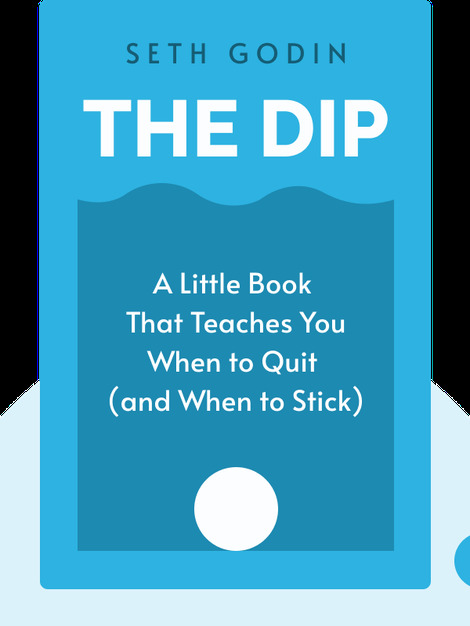 The Dip (2007) is about the common struggle we all face when we undertake an ambitious project or embark on a new career. 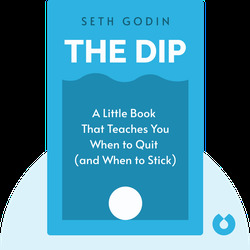 As author Seth Godin points out, we can greatly increase our chances of success by preparing for the inevitable dip into difficult and trying times. By making tough choices, avoiding distractions and setting priorities, you can be well-equipped to persevere and come out stronger than you were before. Seth Godin is a writer, entrepreneur and educator. He is the creator of Seth’s Blog, a popular online destination filled with advice on marketing, work values and team building. He is the author of numerous best-selling books, including Linchpin: Are You Indispensable? (2010), Tribes: We Need You to Lead Us (2008) and Purple Cow: Transform Your Business By Being Remarkable (2003).